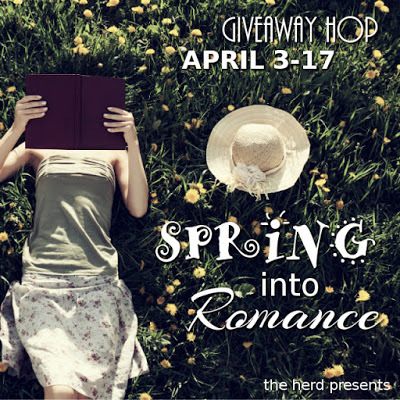 Welcome to the Spring Into Romance Giveway Hop ! We're sharing our favorite Spring Reads with you ! Come back to me. That was the very last thing I said to him. Always. The very last thing he said to me. 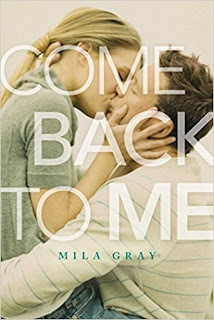 Home on leave in sunny California, Marine and local lothario Kit Ryan finds himself dangerously drawn to his best friend’s sister, Jessa – the one girl he can’t have.But Kit’s not about to let a few obstacles stand in his way and soon Jessa’s falling for his irresistible charms. What starts out as a summer romance of secret hook-ups and magical first times quickly develops into a passionate love affair that turns both their worlds upside down. When summer’s over and it’s time for Kit to redeploy, neither Kit nor Jessa are ready to say goodbye. Jessa’s finally following her dreams and Kit’s discovered there’s someone he’d sacrifice everything for. Jessa’s prepared to wait for Kit no matter what. But when something more than distance and time rips them apart they’re forced to decide whether what they have is really worth fighting for. A breathtaking, scorchingly hot story about love, friendship, family and finding your way back from the edge of heartbreak. All I can say ... it's an amazing read, even my daughter cried! My giveaway... 1 ebook copy, winner's choice from my backlist! Just leave a comment telling me what your favorite Spring Read is so far? There's a new blog at each stop so be sure to check them all out ! Make sure to stop at all the blogs ! So far, it's a tie between Etched in Bone by Anne Bishop and Magic for Nothing by Seanan McGuire.